Aussie surfers Navrin Fox and Woody Jack just helped halt a massive Chinese development in Fiji. The Angourie surfers purchased an acre on Malolo Island — just miles from some of Fiji’s best surf spots, including Cloudbreak, Restaurants and Namotu — back in 2015. With aspirations of building an eco-friendly surf resort, along with with Fijian friend Ratu Jonah Joseva, they were rattled to the core two years later when they discovered the Chinese company, Freesoul Real Estate, had leased the land next to theirs and had been polluting the area and ignoring environmental regulations. Unbeknownst to Fox and Jack, Freesoul Real Estate had been encroaching on their property, leaving construction equipment behind and decimating the rainforest on their acre parcel. Freesoul’s eventual goal was to build a 350-bure resort and casino — which would’ve been Fiji’s largest. “We had a natural rainforest until they came along and cut half our trees down without us knowing. I just felt disbelief. It was a horrible feeling inside,” Fox told the Sydney Morning Herald. Tensions continued to escalate when Fox and Jack discovered that the Chinese developer had brought in heavy machinery and was in the process of carving up the reef fronting their property. “Imagine the driveway at your house, then waking up one morning and your neighbor has unloaded 10, 15-ton trucks of dead reef on it,” Jack told Newsroom. “This is exactly what Freesoul Real Estate did to our beach access. 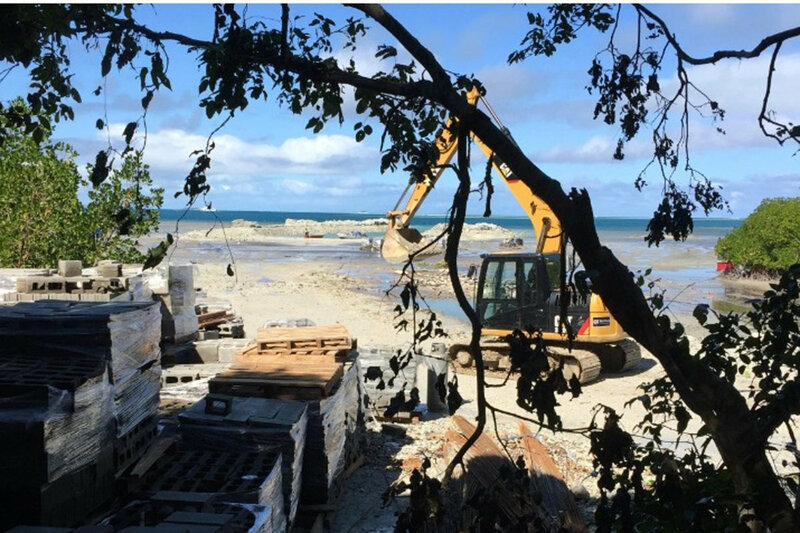 It illegally dumped reef on our beach, extinguishing our only access and basically made our land inaccessible,” he said. When Fox tried to access his property workers for Freesoul wouldn’t let him enter the area. Eventually a fight broke out. But see Largest freehold site with 25km of shoreline up for sale in Fiji . . .